My name is Shukuru Matalina and I am 5 years old. I live in DR Congo and need your help. 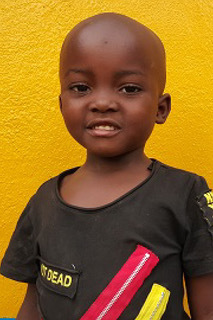 Being sponsored to attend the Linda Stryker Academy is a great opportunity for children in the Congo, such as Shukuru! She comes from a family of 7 children, and lives in a semi-permanent house in Bukaru. Shukuru loves to play volleyball and spend time with her friends, and if she is sponsored the holistic development she receives from the ICCM school will be life-changing. Be a part of changing her world today!